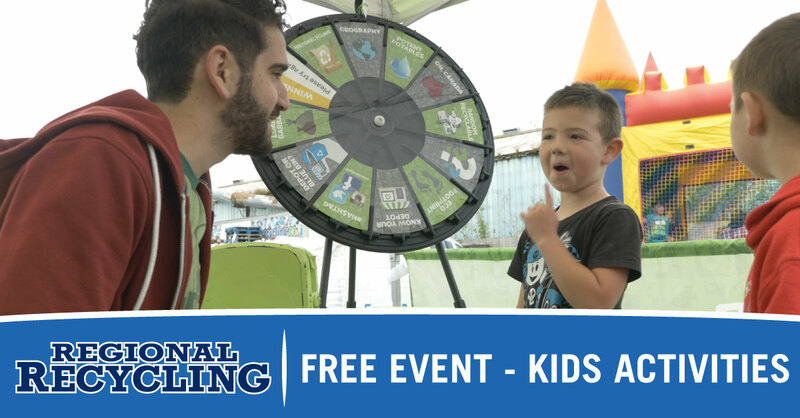 Have an event booth and come meet your new customers at one of our Regional Recycling Family Fun BBQs. We love our customers, and we love sharing recycling information. 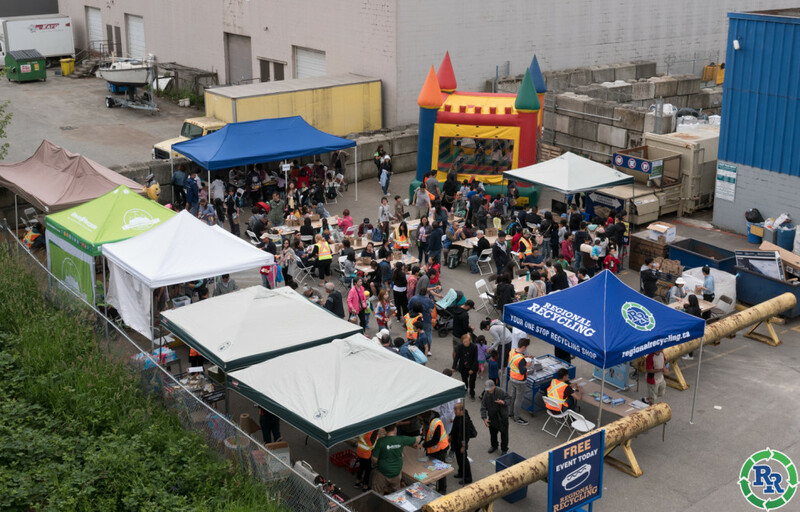 Every year we hold BBQ’s at several of our Regional Recycling locations throughout the Lower Mainland. We invite our customers to join us for a free BBQ and provide family-friendly entertainment. 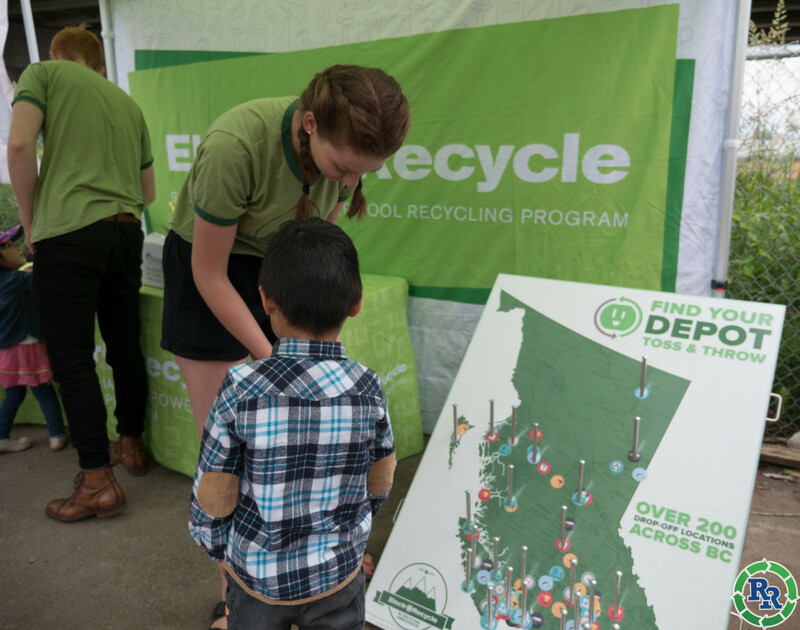 The goal of the day is to provide our customers with recycling education in a fun, friendly atmosphere. Based on our ever-growing attendance, we’re doing the right things. We’ve got a loyal and supportive following, and everyone who has an event booth is happy they were a part of our event. 1) Great Food means lots of people! Our BBQs are legendary! We provide organic, all-beef hot dogs, specialty hot dog buns, and fresh organic fruit. We host an average of 500 people at our events. Our 2017 Burnaby event had over 700 guests on a rainy day! That means a lot of new potential customer for you to meet. 2) Fun activities for children! We have a bouncy castle, crafts & colouring, and an amazing face painter to keep kids of all ages entertained. Many of our guests are families, making it a great opportunity for clubs, groups, and teams to sign up new members! In addition, we provide depot tours and share other types of recycling education with our guests. Because of our fun activities, our guests tend to stick around to enjoy all that we offer. This gives you plenty of time to connect. Successful marketing is about being a part of an active community. Many of our partners join us and provide games and prizes for our guests. These businesses all share our commitment to giving back to our community and supporting the earth through responsible recycling. Our guests really enjoy the interaction with these community partners! They spend time learning about their businesses and getting great recycling information. This leads to many long-term relationships. If your company or organization would like to meet our customers, we’d like to hear from you. We invite you to connect with us to learn more! Email [email protected] to get more information. Our guests are families and individuals interested in recycling and a green lifestyle. The majority of our guests live in the communities our host Depot serves. Our Burnaby and Richmond locations typically host between 500 – 700 people. We see between 300 – 400 guests at our Cloverdale and Abbotsford locations.